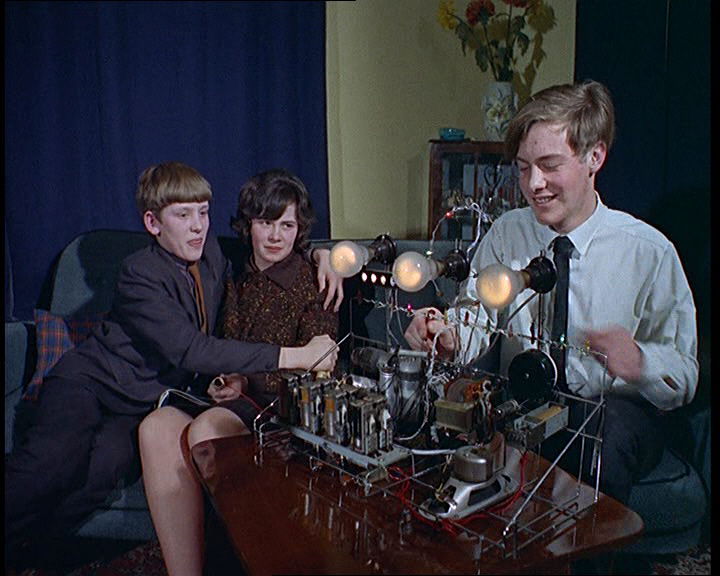 Teenager Malcolm Pickard built a fantastic contraption to measure the voltage of snogs aptly calling it a “snogometer”. The loved up duo hold electrodes in their hands and their passionate snogging is measured with sound effects and a lighted scale. Surely it’s a must for all young love. Don’t let the parents catch you though! With the professionalism of a scientist, Malcolm watches his first pair of guinea pigs intently. Filmed in 1965, in his parents front room, the video shows the mother sitting and watching, knitting even, whilst Malcolm gets down to work on his experimenting with snogging teenagers! A 15 year old couple kiss and the Snogometer starts flashing wildly, but when an older couple kiss the light bulb blows! In a 2010 interview with the BBC, Pickard said he created the device to combine his interest in electronics with his interest in kissing girls. He also noted that the device was probably dangerous and left a coppery taste in the mouths of its test subjects. “It was all very unsafe,” said Malcolm, “users were actually connected to the electricity – not directly. The young lovers are eager to see how their snogging rates! Despite missing out on testing his machine on all the ladies, Malcolm’s Snogometer made him a national celebrity for a couple of months in the 1960s. “People would recognize me,” said Malcolm, “and I got lots of mail from all over the world including one from Australia just addressed to Malcolm Pickard, Snogometer, England. And it reached me. But despite it being a “big adventure” the Snogometer didn’t go anywhere.